Home attachment parenting Why do Doula’s Charge what they do ? I love being a Doula. I love attending births. I love how it makes the mom feel. I love making a difference in other peoples’lives. Aside from the cost of education, certification, books, workshops, continued education, and advertising (website, cards, brochures), lets also take into consideration the time that it takes for all of these as well as out of pocket expenses. Hours – Couples having a first baby may imagine that their doula will only be spending a few hours with them during the labor and birth. In reality, an eight-hour labor would be considered pretty fast; most first labors last at least 24 hours; the longest continuous time I’ve spent providing labor support is 49 hours. The average time I have spent with a woman for her labor and birth is about 13 hours. I spend another 10 hours in prenatal and postpartum visits, another hour or two in phone calls or email, and up to six hours travel time. Using those averages, a doula’s fee translates to an hourly rate of about $40/hour, before expenses and self-employment taxes. Clients per Week – When a doula makes a commitment to be available to attend you in labor, s/he has to limit the number of clients s/he puts on her calendar so as to avoid birth conflicts and to ensure that s/he is reasonably rested when you go into labor. The rule of thumb for birth professionals providing in-home services (compared to someone working a shift in a hospital or sharing call with another provider) is that one client per week is a full schedule. Clients per Year – When a doula puts your due date on their calendar, s/he commits to being available two weeks beforehand and two weeks after that date. This means that when s/he schedules a vacation, or attends a conference, or has a commitment that cannot be missed, s/he has to add another four weeks during which s/he cannot accept clients. Being Self-Employed – The rule of thumb is that a self-employed professional’s income is only half of what they earn, after deductions for vacation and sick time, self-employment taxes, insurance, and business expenses. As you may imagine, communication expenses are high – business phone, cell phone and computer connection. A doula also has typical professional and office expenses, continuing education expenses, and unusually high transportation expenses since they primarily travel to people’s homes. Putting It All Together -Being on-call all the time requires a very high level of personal sacrifice, including a willingness to be awoken after half an hour of sleep to go attend a labor for the next 40 hours. About 25% of clients have some kind of early labor which starts and stops, resulting in multiple phone calls – often in the middle of the night. Most doulas eventually miss birthdays, family holidays, social events, and those with children also juggle childcare. I have spent my birthday at a labor, my family spent Thanksgiving day without me, I’ve had to cancel (and then reschedule) numerous classes and appointments. A doula cannot take weekend trips away from the area, and even day trips have to be judiciously chosen. A doula never knows what they are going to encounter at a particular labor – she may end up wearing out their body supporting the woman in different birth positions; she may take catnaps sitting in a chair; she may eat nothing but crackers and dried fruit; she may end up holding a vomit bowl for someone vomiting with every contraction during transition; she may end up with blood, meconium or worse on their clothes. Thank goodness doulas LOVE their work! But the financial reward? The annual income of a doula with a responsible client load and a strong commitment to being available for birth is 1/2 the number of clients per year times their fee per client. Experience Factor – When a doula steps into a birth, they bring not only their heart and hands and training, but the experience from all the past births they have attended, and continual research on subjects relating to birth. As doulas, we must keep up-to-date on the latest studies, procedures, protocols, and policies surrounding birth and area hospitals and providers. Did you know that doctors, midwives, and nurses usually only know their way of doing things? Doulas see the variations from hospital to hospital, between care providers, and over time. Being able to work with many different care providers, a doula learns all their different approaches and tricks, which I think is unique to the doula profession. 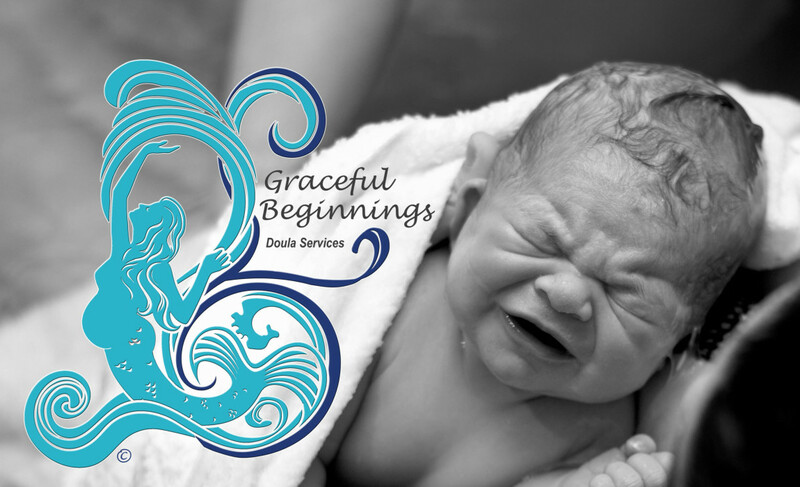 And considering that every birth and every family teaches a doula something new, doulas have a wealth of knowledge and skills to bring to birth. Bottom Line – Nobody’s getting rich doing doula work. But every doula should be able to make a decent living as a doula without making her life unbearable. Most doulas are self-supporting professionals. And most doulas also offer discounted or almost-free services to support the DONA vision of ‘A Doula for Every Woman Who Wants One’. If you can’t afford the fee of a very experienced doula, honor your beginning doula by paying them more than any objects you buy (strollers, cribs, carseats, etc.). The most common cause of doula burnout is feeling overwhelmed by the commitment and being undercompensated for one’s time and dedication. 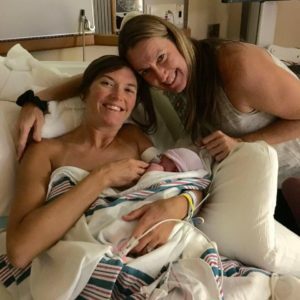 Advocacy Suggestions – Doula services are rarely covered by medical insurance plans, but are reimbursed more often , even though the statistics prove that doulas can save insurance companies lots of money by reducing the use of medications, interventions, time in the hospital, and surgical (Cesarean) births. You can talk with your Human Resources representatives to ask them to lobby to include all doula services as a covered option in your plan. Also lobby your State legislature to include doula services in state-funded healthcare so that low-income women have access to experienced doula support and doulas don’t have to further their financial burden by attending these births for free (that is what we do now). Additionally, you could talk with your midwife or doctor to encourage them to offer universal doula care to their clients. By hiring several doulas to be on-call for their clients, they could substantially reduce the cost per birth (and make their job easier) – although in this model the doula might be someone you’ve never met before. You could also advocate for the hospital to provide universal doula care, so that it would be covered in the same way as their in-house lactation consultants are covered. By all means, tell everyone you meet about the support you received from a doula – spread the word about doula care so that more doulas are needed and are well-paid and can continue their work for generations to come. hours, in the least, just for interaction with my clients. If you add in another estimated 3 hours for research, paperwork, etc., that goes into setting up each client, we’re at 28 hours min. This is figured for just one particular state and DOES NOT include Income Tax because that would depend on your tax bracket. Again, this is based on my time and expenses. Of course, over the duration of my time with a client, I can spend more or less one on one time. This is all approximations. As a single mother, I get it. I do realize not everyone may be able to budget for a birth doula or a photographer. Thankfully in recent times many insurance companies are now reimbursing for birth doula services. But they have to be a Certified Birth doula. "Florida Birth Photographer", assessing labor patterns, Atlanta Birth Doula, birth doula, Birth Photographer, birth photographer st augustine, birthdoula, Breastfeeding, cesarean support, childbirth education, Georgia birth Doula, graceful beginnings doula services, Green Cove Springs Doula, homebirth, Jacksonville Beach doula, Jacksonville doula, Jacksonville Fl doula, Kennesaw Birth Doula, labor support, lisa olschewske birth doula, Lisa Olschewske Photography, Middleburg Doula, Neptune Beach Doula, North East Florida Doula, Orange Park Doula, post partum depression, postpartum depression, rebozo.labor positions, Sacred postpartum doula, spinning babies, spontaneous labor, St Augustine Doula, St Augustine Maternity Photographer, Traveling Birth Doula, VBAC, Woodstock Birth Doula, young living oils. Bookmark.